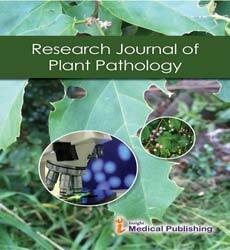 Research Journal of Plant Pathology is an Open access and peer-reviewed Journal. The main aim of the journal is to provide platform to researchers from all over the world for the publication of scientific research related to plant Pathology. Research Journal of Plant Pathology covers the study of biological nature of various plant pathogenics, molecular aspects of host-pathogen interaction, epidemiology and disease management, all plant pathogenic organisms (viruses, vectors, prokaryotes, oomycetes, fungi, nematodes and parasitic plants), ecology of plant pathogen, plant disease diagnosis, plant disease management, non-infectious plant disease, new disease records in Plants etc. Research Journal of Plant Pathology publish research articles, Reviews, Mini reviews, short communications, commentaries and book reviews.